In my series about camera equipment, it's time for an article about this particular lens. When I bought the Nikon 17-55mm AF-S in 2005, it was for a very specific reason. My first digital SLR, the Nikon D100, was the first prosumer SLR on the market, and camera companies didn't ship them with matching lenses. The whole 1.5x sensor crop thing was a very new problem, so no special lenses had been developed yet. 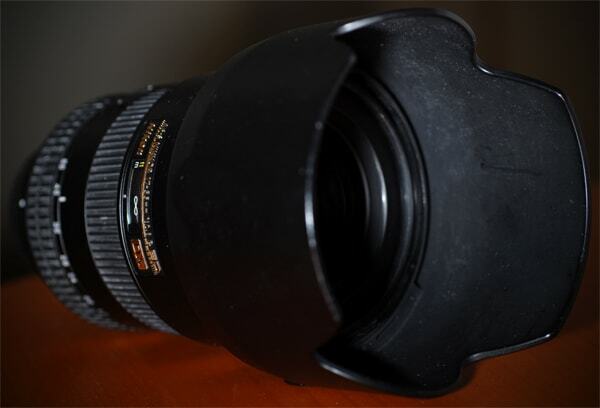 So when I had to choose a lens, the only affordable one that covered the range I needed was the Sigma 17-35 f2.8-4. A cheap plastic affair with slow autofocus and not much light sensitivity. After a year I started to get my doubts about the image quality of the lens; the results looked a bit unsharp. Fortunately I was able to get my hands on a very good condition Nikkor 35-70 f2.8, the old push-pull zoom lens. This was the first time I shot with a proper f2.8 reportage lens (this used to be the main weapon of choice for news photographers) and I got some amazing results. Still, I was left wanting. The crop factor became a real issue as my news photography got me in small rooms, and I needed more wide angle coverage. The 52-105mm range was just not good enough. Eventually I had to give in to gear-lust and pay up for the Nikkor 17-55, A lens released to be the standard journalist lens for digital SLRs. 5 years later I'm still extremely happy with this purchase. It's big, heavy, and has a huge sun shade, which doubles as a very sturdy lens protector. The lens is mightily fast, and very quiet. If you know what you're doing it's almost impossible to get an out of focus shot. Now like I said, it's big, and expensive. So I wouldn't recommend it for the amateur shooter. It weighs 800 grams, without the camera. Bolt it to a D200, and the combined weight approaches 2 kilogrammes. I got used to carrying the weight around, but on holidays, most people would find it to be a problem.